As promised, (a while ago) here are a few snaps of my new(ish) room! I'm absolutely loving it at the moment, as the white walls make it seem so much bigger, and everything just looks cleaner and more grown up. As I mentioned in a previous post, I most of my furniture from Ikea's discount section (usually by the tills), and saved around about £200 in total! It's definitely worth having a look there, I managed to get everything I needed - a white double bed frame, a double mattress and white chest of drawers. I really do wish I'd taken 'before' pictures, but it was such an awkward layout to photograph, so perhaps it's for the best! I don't have much else to say about it, so I'll let the pictures do the talking. Pictures some out so much more 'true to life' with regards to colour, and the natural light pouring through the window is made even brighter by the white walls. Like your room so much, especially the lights! Your room looks so great! I love the layout! Also, not really part of the room, but I love all the shoes you took a picture of! I want all of them! I really need to pull my finger out and re-do mine! Inspirational. Looks beautiful and inspirationa! PS. You're so cute! Love your room and your shoe collection! Your blog design is beautiful, by the way! Love, love your desk and your fur hat! I love your room! It's so light and airy-looking and lovely :) That last picture is super adorable, too! I am in love with white rooms!! My husband and I just finished a several-years-long project of renovating our entire condo...and we did as much white as possible!! As you said, it makes everything look fresher and brighter!! Love your room! It's bright and classy! 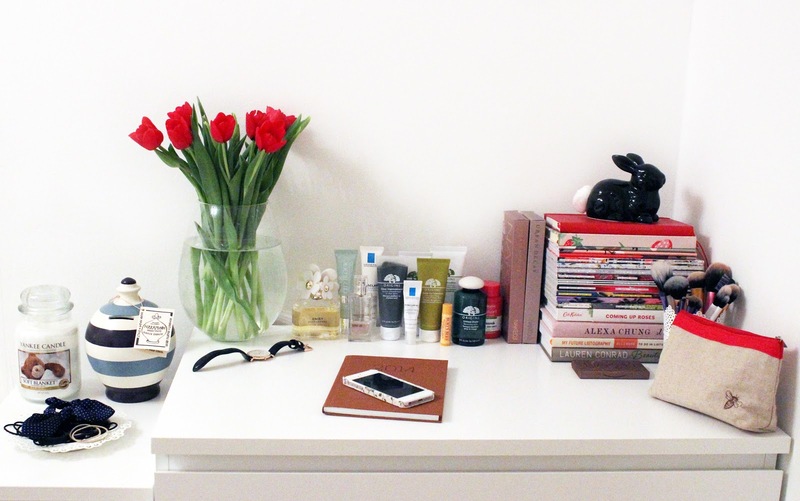 I love this post, your room is so cute and chic :) great read. Love your room ♥ The lights are a very cute detail. Ahhh yes it's actually a cotton wool holder, haha! You put little cotton wool balls into it and then have one poking out of the hole at the back to make a tail... a bit strange but I love it! Aww it looks so cute and nice!